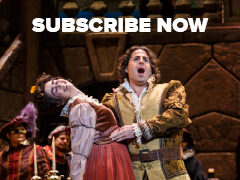 Ensure you don't miss out on our 2019-20 Season by subscribing today! Not already a subscriber? 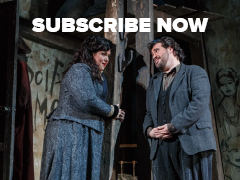 Purchase a new subscription for 2019-20. Learn about accessibility and wheelchair accommodations at the Benedum Center, CAPA Theater, and Pittsburgh Opera’s performance space on our Accessibility webpage. Or call 412-281-0912. 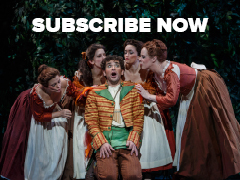 Money-Back Guarantee: Be delighted with your first opera, or we will refund the rest of your subscription. Log in to your account at culturaldistrict.org. 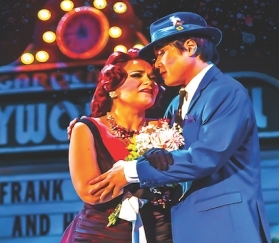 Select tickets to your performance at the regular price. If the performance qualifies, your 10% discount will apply during checkout. There is a 4 ticket limit per order for this discount. When ordering by phone or in person please identify yourself as a Pittsburgh Opera subscriber and have your account number ready. For a full list of eligible productions and additional information, see the Cultural District Subscriber Benefits webpage. 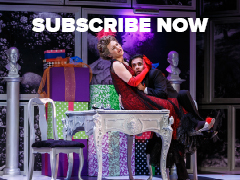 Plus: You can add our chamber opera in CAPA Theater for $41 and our Second Stage production at Pittsburgh Opera headquarters for just $40 - that's a 20% discount. Subscription prices start at just $45. 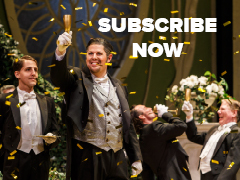 Click here to view subscription prices, subscription package options, and detailed seating charts. Artsburg Flex Pass: The Artsburgh Flex Pass is a great way to sample opera! Simply order as many Flex Passes as you like (each pass is good for one ticket to one event!) and follow the redemption instructions for the event you are going to see - some require early redemption, some allow you to just show up with your pass! See what events are available. Then buy your flex pass(es) today! Click here to view a Benedum Center seating chart (PDF).